On Saturday August 9, 2014, 18 year-old Michael Brown was shot to death by a Ferguson police officer after robbing a local convenience store. 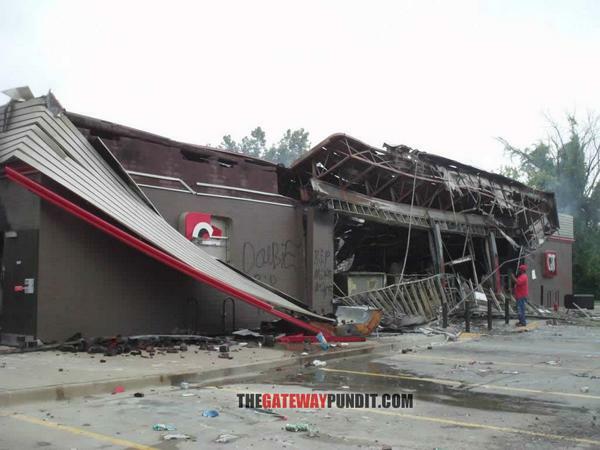 Protesters in Ferguson tore up the business district during riots after Mike Brown’s death. The vandalism and destruction was enormous. Over 100 businesses were vandalized, looted or destroyed during the violence. 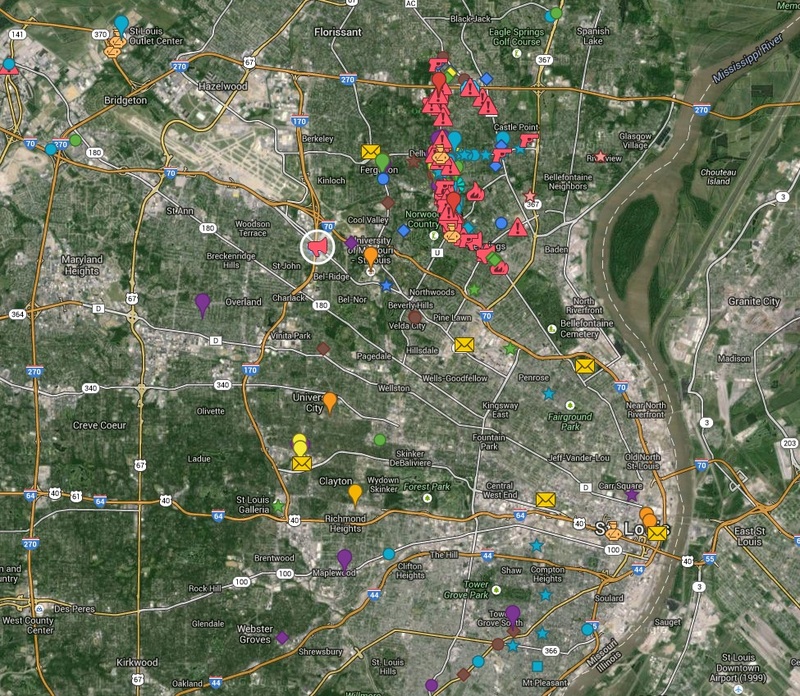 Here is an interactive map of the attacks, shootings, lootings, and destruction. Many of the local businesses were looted not just once, but twice. This week marked the one year anniversary of robber Michael Brown’s shooting death. Today we took a trip back to Ferguson, Missouri. 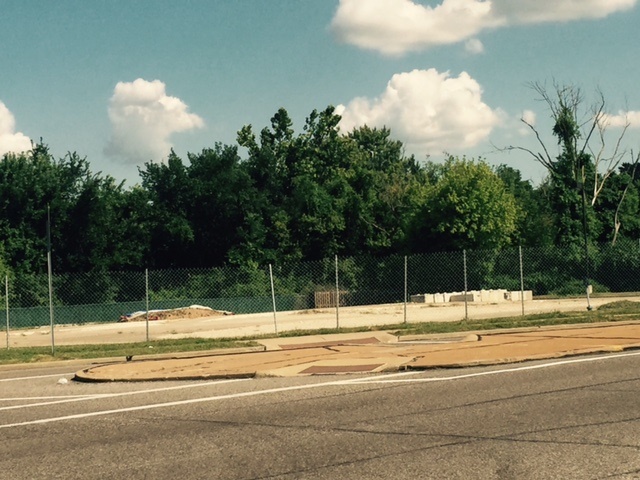 Last year the Ferguson QT was the first of several local businesses to be looted and burned to the ground. We posted numerous photos of the destruction last year. Today it is an empty lot. The 911 Salon – was looted in 2014 and looted again this week. Ponderosa is boarded up today.